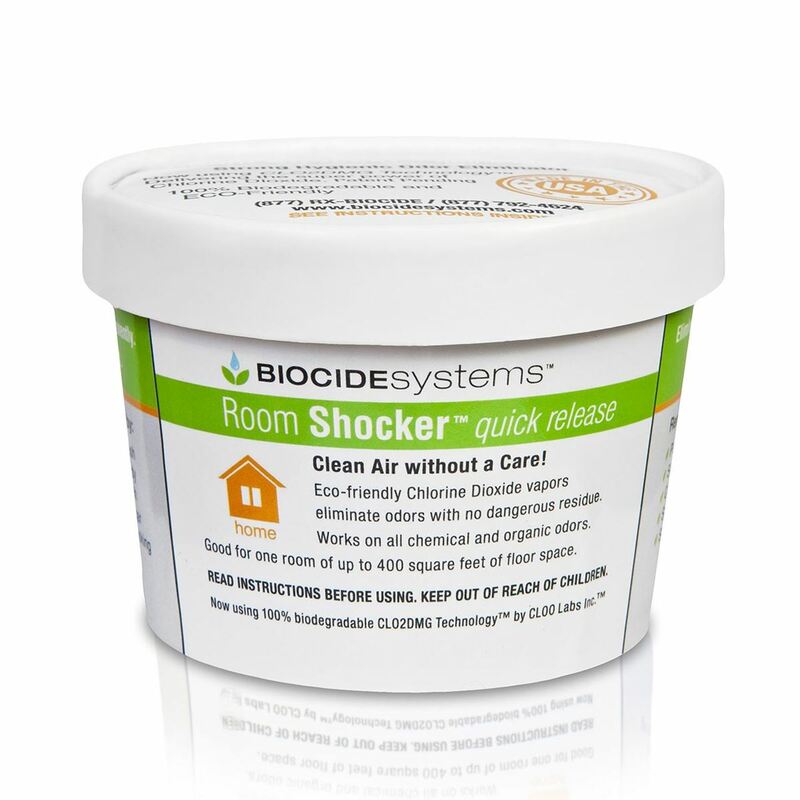 Room Shocker ClO2 Odor Eliminator Quick Release Vapor - Biocide Systems. Stale musty Smell. Humid climates, old houses, basements, flooding and large spills can all create a climate in your home that incubates stale musty and other organic odors. Our Room Shocker attacks these odors with easy and eliminates them for good.